Bingeing On Books: DISCUSSION: Does a movie trailer make you want to read the book? Yes. I have totally picked up a book because of a trailer. I have even picked up a book just because I heard it was being made into a movie and I have to read it before then!! The silliest part is I hardly ever watch movies so it isn't like I have to rush to read it because I will probably have a lot of time before I see the movie!! Grace, I am the same way! I don't watch movies very often either, but I always rush to read the book ASAP. Crazy. Sometimes it happens if the trailer for the movie looks really really good. Nerdgirl Review, and sometimes the trailers are just so great! Sometimes :) The trailer for a movie/book I am not familiar makes me add it to my "to-read" list but I might not actually get around to reading it. Julie, yeah that can happen too especially since I don't watch movies very often. 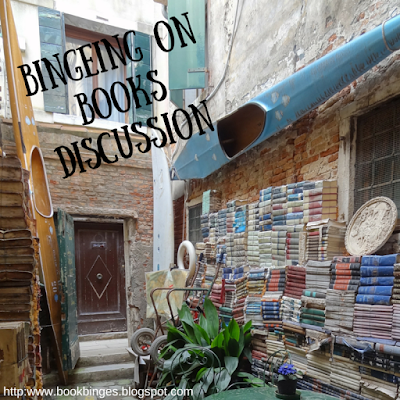 I may add the book to my TBR because of a trailer, but end up not reading it for a while. I was glad I read Room before watching the movie--the movie doesn't explain that it's from the boy's perspective. But the movie is great. Kwizgiver, The book was so amazing. I really need to see the movie! *raises hand* YES ME. GUILTY. XD Mostly, when it comes to YA adaptions, I'm aaaall over it and MUST read the book, just mostly to say I have read it. ;D I'm a bit terrible like that...but I want to read all the books of ever SO I HAVE TO START SOMEWHERE. Ahem. one that recently got me is You Before Me. That absolutely does NOT seem like my kind of book? But the movie looks amazing so I'm going to read the book. ;D And while I did read Miss Peregrine's already...the trailer has made me want to finish the series. hehee. So I think books-turning-into-movies is definitely good publicity for the book too!! Cait, oh yes it does happen to me so much more with YA adaptations. And yes, you must read Me Before You! That was such an amazing book. If I had not read it before, the trailer would have forced me into it for sure. 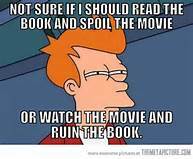 Oh I mostly try to read the book before watching the movie just so I can compare. Though there are some cases where I will read the book anyways if I have watched the movie. But the times I have done that is.....none. I think I am MORE excited for a book if I see that a movie came out. Like Room! I loved that book. The same for The Book Thief, Still Alice, and yes I guess TFIOS too I suppose. It was the anticipation that made me excited. But on the other hand, seeing that there is a movie for a book I haven't read doesn't make me as excited. I don't know why. Maybe I just am not a movie person! Valerie, oh me too! If a movie is being made out of a book that I have already read, I am SO EXCITED!! I am also nervous because, you know, adaptations have the potential to be awful. 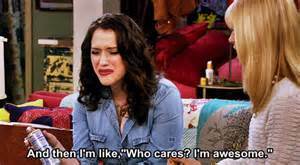 DUDE, when you see Allegiant take all the notes, espeically on stuff your mom says, and share it with us all! Please??? Soudha, I am so glad the trailer made you read the book! Me Before You was a great book and I am so looking forward to the movie. I can't wait! Hmm, so I just spend like ten mintues staring off into the distance thinking about this but I can't come up with a movie that I read the book of just because it was turning into a movie. This sounds like something I would do but I can't think of any examples... Oh, wait! I lied, I read The Duff because I saw the trailer for the movie and it looked hilarious. I liked the book but LOVED the movie. 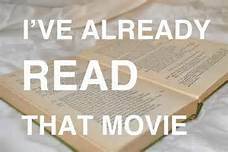 Besides that, sometimes I intend to read a book because it's becoming a movie (like with Paper Towns) but then I just never see the movie because I don't get around to reading the book. I have, upon ocasion, seen the movies before reading the books. I feel like it's almost better that way? Because the books are hardly ever a disapointment compared to the movie but the movie is very often disapointing compared to the book. I swear, The Duff kind of made me mad. The book was okay, but they completely changed the plot for the movie! Annoying. I can see why the trailer of that one would make you read the book though. The trailer did look interesting. Oh, you are definitely not alone with this. I definitely read books just because they're becoming movies and the movies look good. In fact, I've been seeing things about Me Without You for forever now, but I just saw the movie trailer the other day and I HAD to get the book immediately. Will be reading it very soon! So glad I am not alone Nicole! I can see why the trailer for Me before You would make you want to read the book. I swear, that trailer makes me cry every time I watch it. The book is amazing. You will love it!